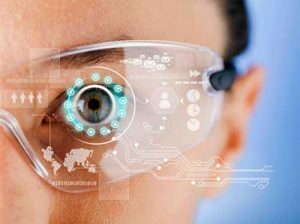 If you have looked at the internet in the past few months, then you are sure to have seen that there has been an abundance of material and developments in the realm of augmented reality and virtual reality. Specifically, the Pokémon GO craze has cause quite a stir in the virtual world as the public seems to finally understand the abilities of an AR/VR world. As interactions between the computer and the real world are thinning, it is important that the web developer address the question “what is the future of websites”? Here are a few things which may occur as a result of the AR and VR boom. Studies have shown that there are more mobile devices (smartphones) then there are people on the planet. Additionally, marketing research has shown that business which have a mobile site are more apt to secure sales over a site which only has a desktop “physical” webpage. Google has integrated the need for mobile websites into the algorithm for its search engines. Keeping this in mind as well as the popularity of the augmented reality applications which have come to the public market, it is sufficient to say that the mobile community is in the first phases of a paradigm shift to a dominantly augmented reality based world. Websites need to take into consideration that augmented reality does not mean virtual reality. Augmented reality can be something as simple as allowing your product to show up in real time within a person’s home through their mobile device. For example: If your company sells appliances, your website may create a mobile sites which identifies the current appliance (say a refrigerator) and swaps it out with one of your models. This allows the viewer to see how the appliance will look in their personal space prior to buying. Even sites which are not business oriented are prone to see an increase in Augmented reality and VR. It would not surprise me one bit if a racing game become available based on actual streets within a player’s neighborhood, or a tactical game which uses the local environment. The Hololens is the first major development to an all virtual interactive world. Granted, it may go the way of Google Glass due to the price tag (which is about $3000 per set), but I do not believe so. Why? The Hololense is marketed to businesses which want to have the ability to use the maximum space without the physical clutter. A person can literally make their own office and set that space up to optimize his or her workflow. Because of the fact that there is no physical objects which are needed, the virtual content must be highly detailed and effective (both aesthetically and functionally) in order to give the office experience. Do not be surprised if the Microsoft’s HoloLens starts to offer virtual office assistants within the software in order to reduce the superfluous overhead of the “gopher”. Anyone who can cater their websites and their 3D content to the virtual world is already ahead of the game. It is inevitable that as the virtual reality becomes more demanding, so will the need for websites and objects for the virtual reality world. Should traditional websites be abandoned? Of course not. There will always be a need for the traditional website so long as the laptop, tablet, and desktop computers remain. Take into consideration that not every user will want to have a page that interacts with the world around them. Some people just want to have information presented to them in a clear and concise manner. That being stated, sites must evolve to have elements of that which is in demand. A purely textual site is far less apt to see visitors then a site which integrates social media, 3D objects, video, and pictures. Additionally, sites which encourage user engagement and interaction are far more likely to see traffic to the site. Will AR based sites and VR eventually become the norm? Probably but not for a few years. For the time being, web designers should take note of the elements which are popular, integrate the features which drive traffic, and monitor the developments as they occur. Site developers should at minimum explore the development of 3D features, get a basic understanding of AR coding, and research how the mobile industry may be shifting in the direction of AR. What a web developer does not want is to be boxed into one niche of the market as the rest of the world transitions and moves on to more modern and more in demand, and more visited sites.